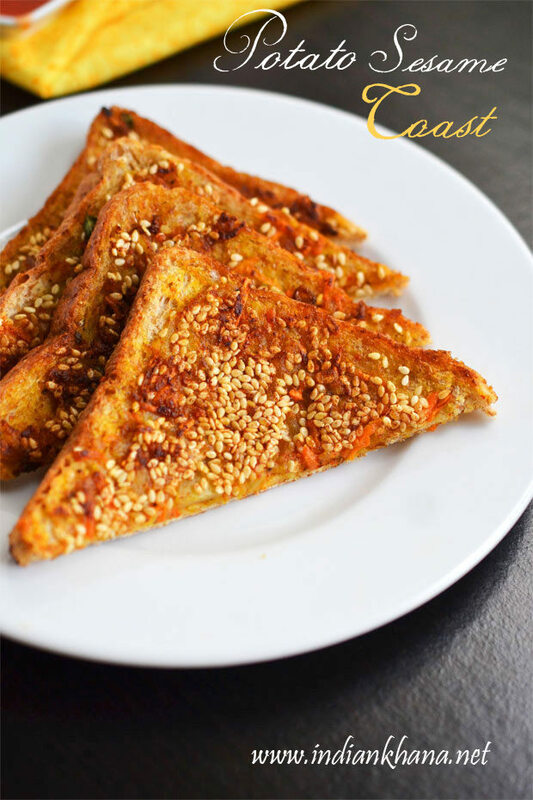 This potato sesame or alu toast is done in multiple ways with lot of variations like we can add other vegetables of choice either raw or parboil and we can also cook the potato masala then make toast, I will try to post another way using vegetables which is again my favorite and very filling, good option for lunch box specially if we have plan ahead keep the potato and veggies ready. You can also make this for kids party to serve something different and filling for them. 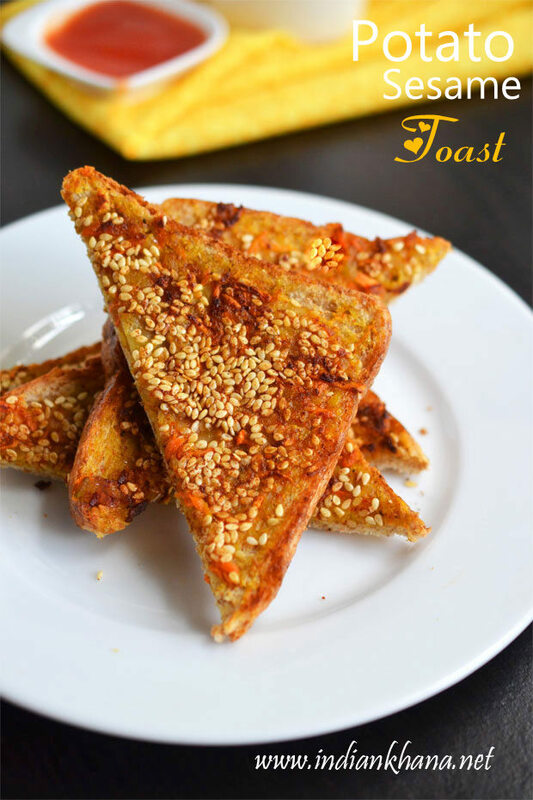 Apart from trying this potato toast for breakfast or snack you can also try this for Suhoor/Sehri or Iftaar, give a break to your deep fried Iftar snacks or pakode and try this filling and healthy toast instead, you will love it for sure. DH whom doesn't like much of toast and sandwich also loved this potato sesame toast in fact I served it twice continuously 2 days. 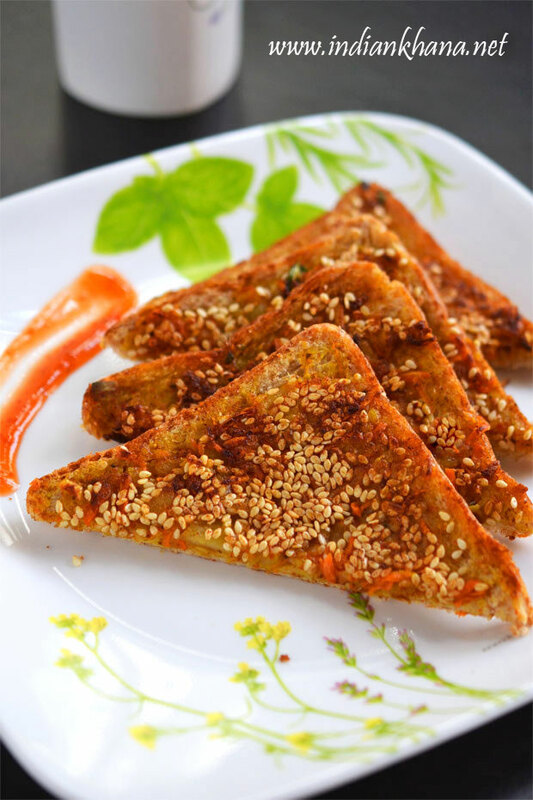 We can serve this open potato toast as it is or with any sauce or ketchup of choice or even try with green chutney it along with cup of coffee, tea or juice we have a filing meal to relish. 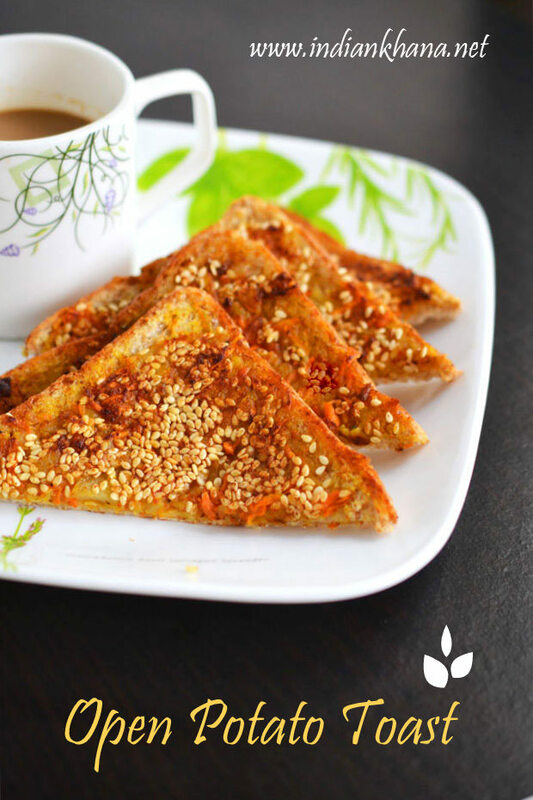 Delicious Potato Masala and Sesame Toast for quick breakfast or snack. Pressure cook potato for 3 whistles, once pressure released peel and mash potato. Peel and grate carrot, finely chop coriander leaves. In a plate or bowl add potato, carrot, coriander leaves, cumin powder, red chili powder, turmeric powder, chaat masala (if using), salt, 2 tsp white sesame seeds and mix well. Take a bread slice and apply butter evenly all over, now add 1 to 2 tbsp of potato masala (mix) and spread well. Sprinkle sesame seeds on top or spread sesame seeds on a plate and place bread slice over sesame so they get stick with potato mix, repeat same for rest of bread slice. 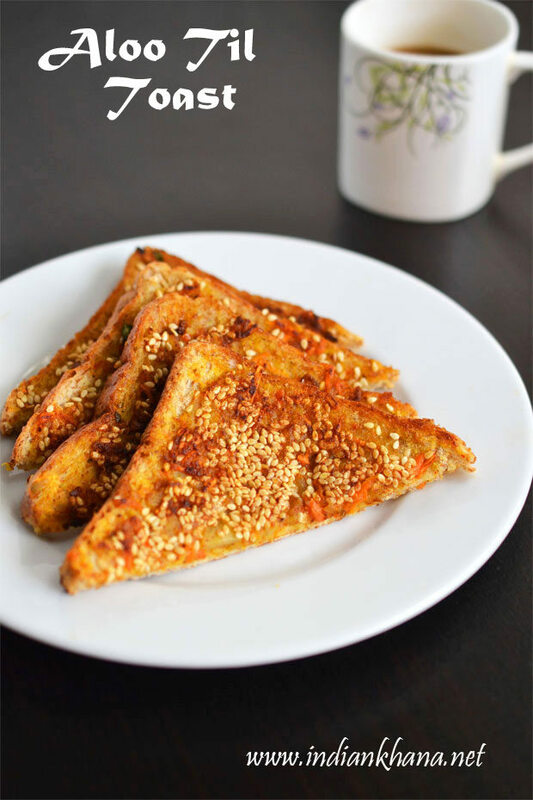 Heat butter on a pan or tawa and place 2 to 4 bread piece (depends on pan/tawa size) sesame seeds facing tawa and toast in medium heat for 1 to 2 minutes or until golden brown, flip and cook another side a minute, repeat for rest of bread slice. Serve hot, warm or even at room temperature with ketchup or sauce. You can skip carrot and also add any onion and other vegetables of your choice too finely chopped. You can add 1/2 tsp of garam masala, 1/2 tbsp of lemon juice to bring extra flavors. You can make this as sandwich just top the bread with potato spread with another bread and toast or grill it.